Put all the pieces of this shiny red fire engine into the puzzle board and hear the siren sound! Matching, full-color picture under the pieces helps your child succeed. 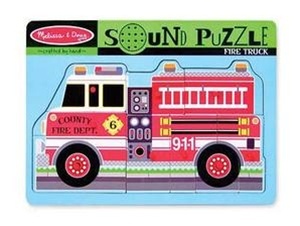 Eye- and ear-catching puzzle enhances matching and listening skills.